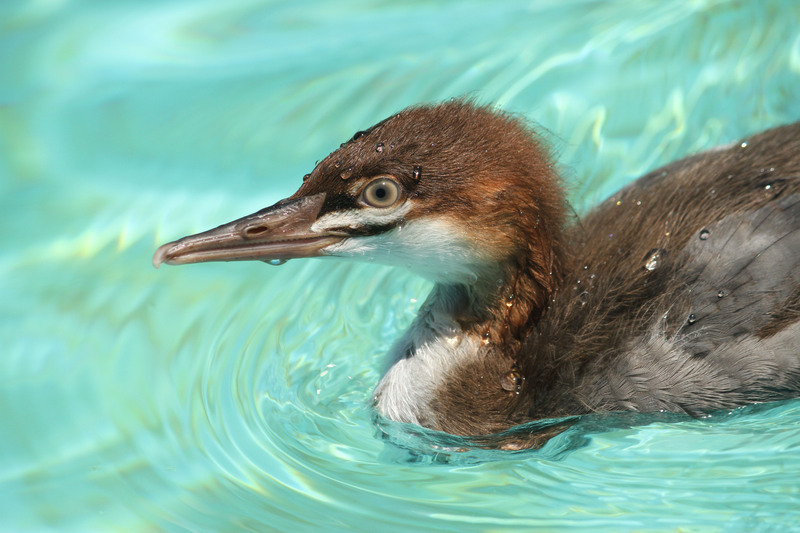 International Bird Rescue is excited to commemorate 40 years of work on behalf of aquatic birds in the Bay Area – and the celebration will not be the same without your attendance! And get ready for cocktails, light hors d’oeuvres and a plethora of amazing silent auction items! Not to mention a special appearance by Judy Irving, the award-winning director of The Wild Parrots of Telegraph Hill! She’s stopping by to the help celebrate, and to show a clip of her current project, Pelican Dreams – a documentary about California Brown Pelicans, featuring International Bird Rescue’s work at our San Francisco Bay Center! Here’s another sneak peek at just some of the treasures and adventures that are only a bid away! 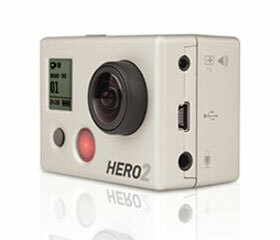 Go home with GoPro’s Outdoor Edition of their famous HD HERO2! The world’s most versatile camera is waiting to capture your next big adventure! You can be a different kind of hero with International Bird Rescue’s “Parent of the Year” packages! The “East Bay Parent of the Year” kit even includes a private docent tour of the Oakland Zoo with a Giraffe Feeding for up to five guests! 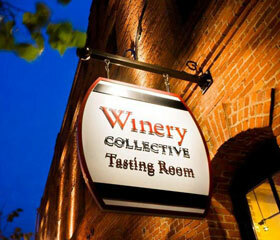 Double date in SF with a wine tasting and barrel sampling for four at The Winery Collective and four tickets to a performance during the 2012-13 Season at the San Francisco Conservatory of Music! 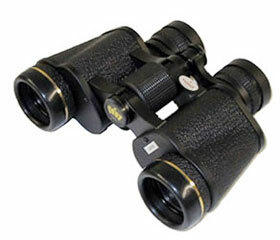 This brand new pair of Scope City’s Kronehof 7×35 Ultra Wide Angle Binoculars will enhance the spectacular adventures you will find within our “Ultimate Birding Package.” HINT: One quest promises dolphins and pelagic birds, and hopes to spot Orcas and Leatherback turtles! 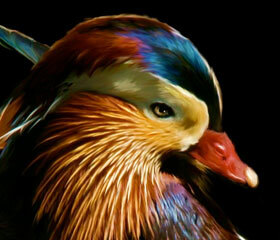 Sandy Farwell calls her original print “Mandarin Color,” and as you may guess from the loving detail of this Mandarin Duck’s bright feathers, Farwell is a true animal lover – and lifelong wildlife volunteer! 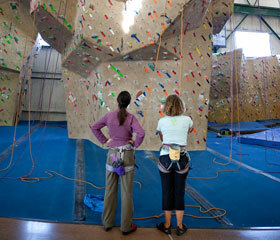 Weekends mean time to exercise, eat out, try new things and relax, and Berkeley Ironworks’ “Intro to Climbing” class for two, is just one aspect of our “Free Time in Berkeley” package, complete with all the crucial ingredients of activity, dining and fun-filled entertainment! The party won’t be the same without you! “International Bird Rescue: Celebrating 40 Years in the San Francisco Bay Area” is only 10 days away, and an exciting mix of local businesses and artisans have rallied around our worthy cause by donating to our silent auction! For those of you who have already purchased tickets, here’s a sneak peek at the incredible items and activities our silent auction has in store for you! If you haven’t purchased tickets, now’s your chance! 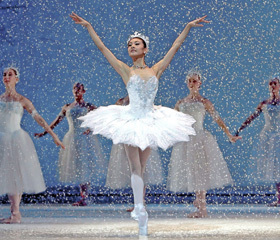 San Francisco Ballet’s 2012 Repertory Season! 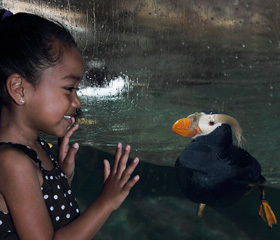 Get up close and personal with puffins with tickets to the Monterey Bay Aquarium! 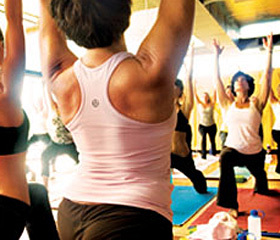 Treat yourself to an unlimited month of energizing CorePower Yoga! 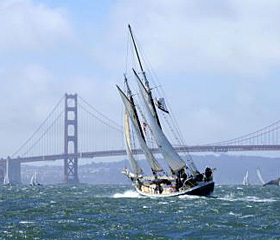 Let San Francisco Bay Adventure’s classic schooner whisk you and a loved one off into the sunset! Space is limited, so purchase tickets before they run out, and meet us at the David Brower Center on April 20 to see what other art, adventures, luxuries and goodies our silent auction has to offer! 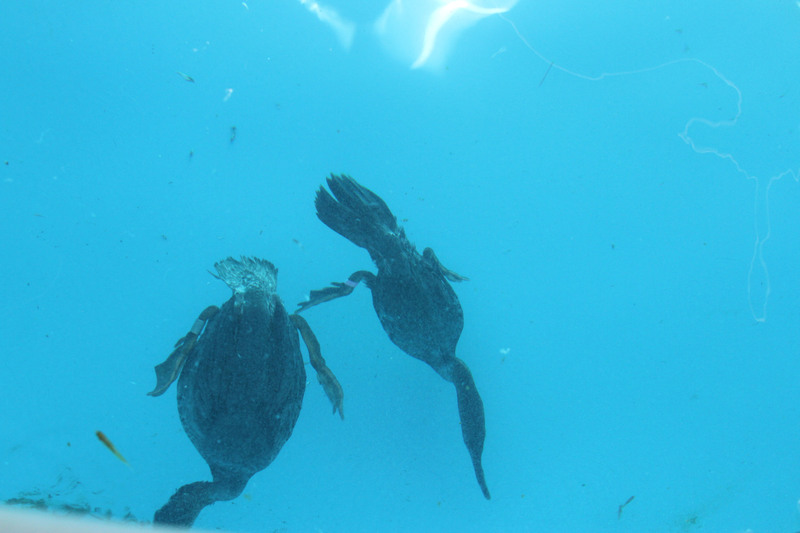 Who are those people in gloves and goggles that seem to appear out of nowhere to save Pelicans, Penguins, and sometimes even Bald Eagles when their lives are threatened by oil spills? Where do these rescuers on the evening news come from, and how do they know what to do when these unpredictable emergency situations occur? 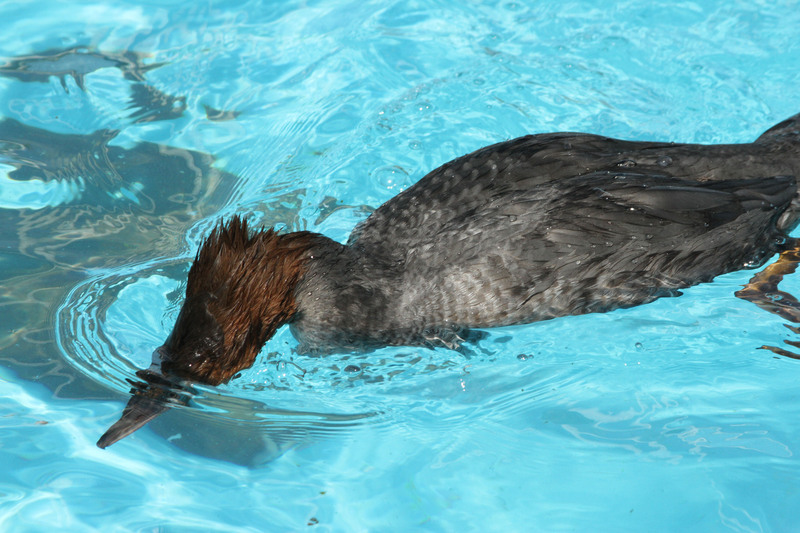 While they may not be a household name, International Bird Rescue’s team of wildlife specialists has led such oiled wildlife rescue efforts at over 200 oil spills in more than a dozen countries around the world. 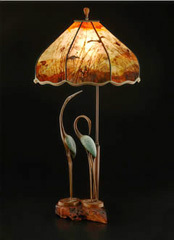 As their global role has grown so has the work in their home state of California. 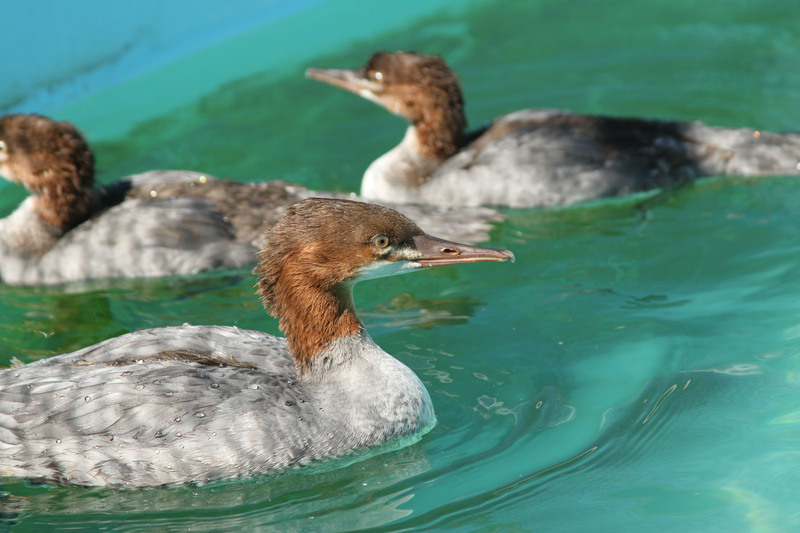 The non-profit organization, which was born and raised in Berkeley, now plays a key role in California’s Oiled Wildlife Care Network and runs aquatic bird rescue centers in the San Francisco Bay Area and in Los Angeles that care for over 5,000 birds each year. 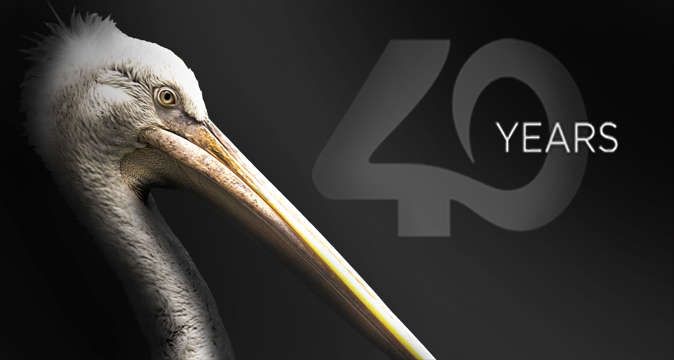 On April 20, 2012 International Bird Rescue will celebrate 40 years of life-saving work in the San Francisco Bay Area and beyond by going back to where it all began – Berkeley, CA. It all started in 1971 when a catastrophic oil spill near the Golden Gate Bridge brought together a group of citizens who – faced with the challenge of trying to save over 7,000 oiled birds – saw the desperate need for a coordinated and professional response to oiled wildlife. 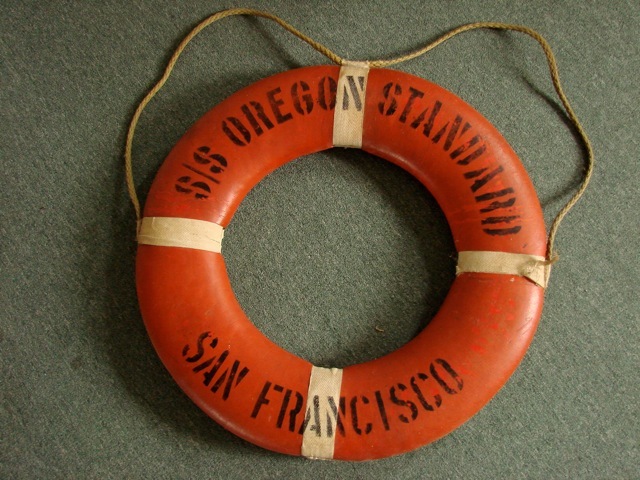 This grassroots effort marked the birth of International Bird Rescue and its first rehabilitation center in Berkeley’s Aquatic Park, where the organization was based until 2000 when it moved its rescue operations into two newly constructed oiled wildlife centers in Fairfield and Los Angeles which were built by the State of California. 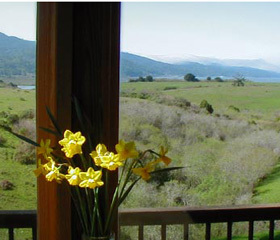 The wildlife group is thrilled to celebrate both its Bay Area origins and its growth into an international leader in oiled wildlife rescue and rehabilitation. 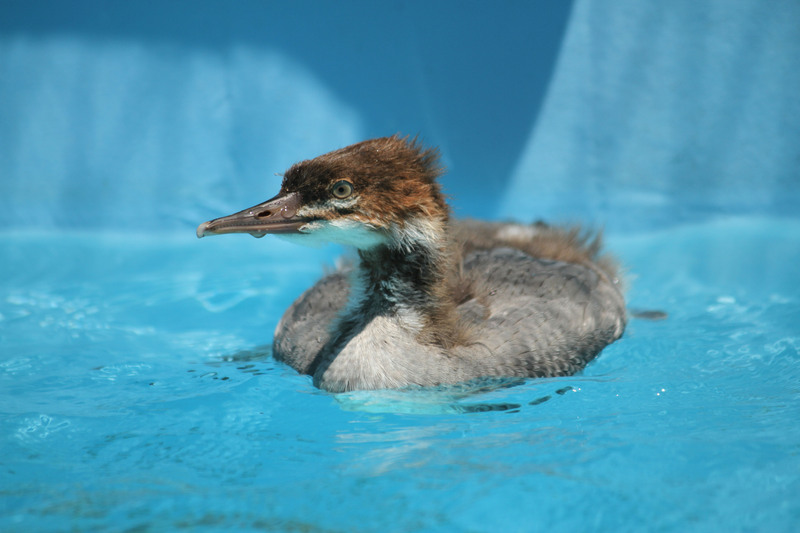 The organization’s staff is still relatively small, but over the years its volunteer base and oiled wildlife response team has grown, dramatically expanding Bird Rescue’s capacity to help avian patients. 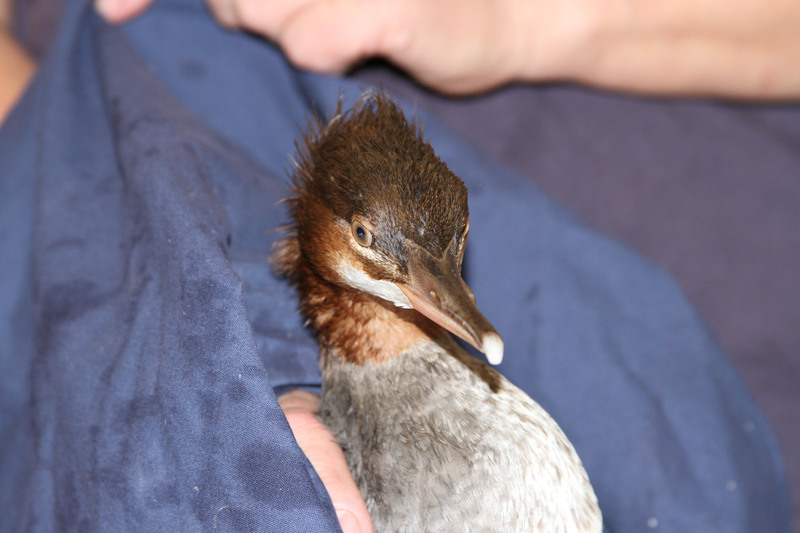 Bird Rescue’s philosophy, however, remains unchanged – every bird matters. 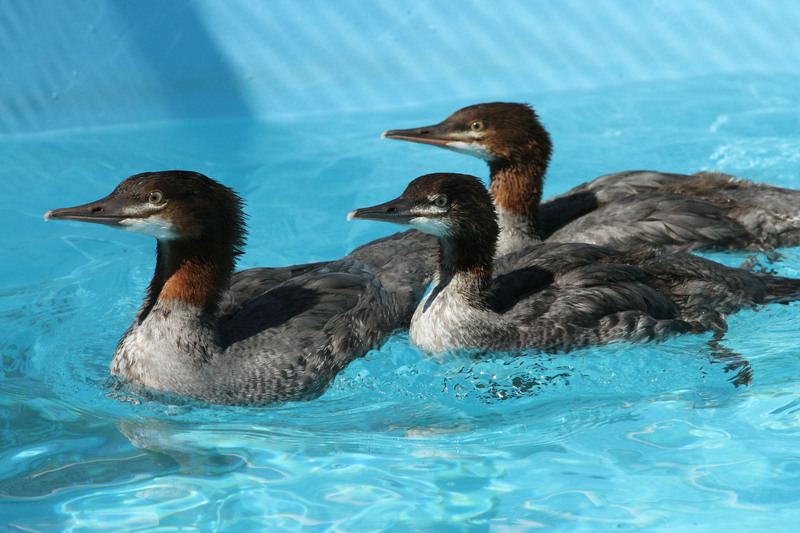 “40 years is a huge achievement,” says Bird Rescue’s veteran oil spill responder and Director Emeritus, Jay Holcomb, “but for our rescue centers it feels very much like business as usual. 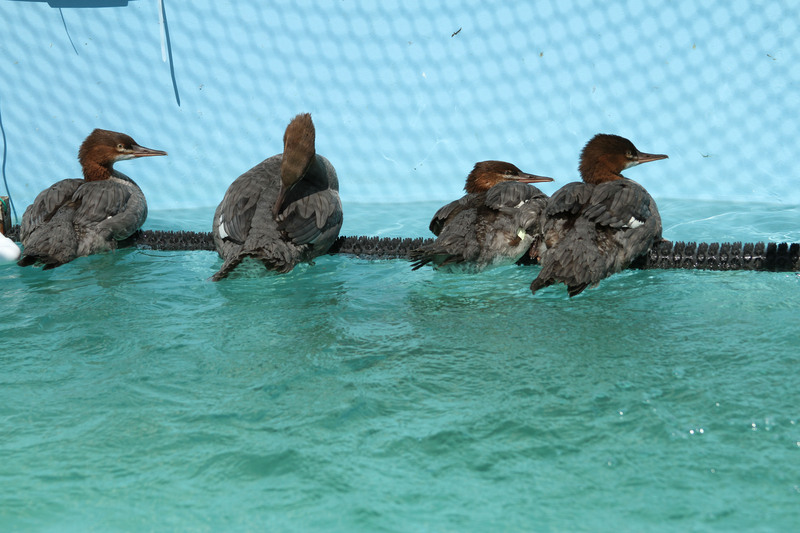 Whether it’s a high-impact spill or a single bird caught in fishing line, our focus is always on the bird in front of us and what we can do to give it the best possible chance to survive and thrive back in the wild.” Over the last 40 years, International Bird Rescue has offered this specialized care to hundreds of thousands of individual birds in need. Holcomb, who was recently featured in HBO’s Gulf spill documentary Saving Pelican 895, notes, “Our clinics care for birds every day of the year. Not only does this work save individual lives, but it also means our team has the very best chance of saving lives when the stakes are much higher, such as in a major oil spill or when an endangered species is threatened.” However, in the case of naturally occurring illness or injury to wildlife, there is no responsible party to cover the costs of rehabilitation, so International Bird Rescue relies heavily on the public’s help. International Bird Rescue’s first official Bay Area fundraising event – two years to the date after the Deepwater Horizon explosion in the Gulf of Mexico – will honor its emergency response team’s work around the globe as well as the tireless efforts of its clinic staff and volunteers 365 days a year. From helping to save 20,000 African Penguins oiled in a spill off the South African coast to working with endangered Dotterels and Little Blue Penguins this past fall during New Zealand’s worst ecological disaster in decades, Bird Rescue knows that catastrophic spills in faraway places grab headlines. 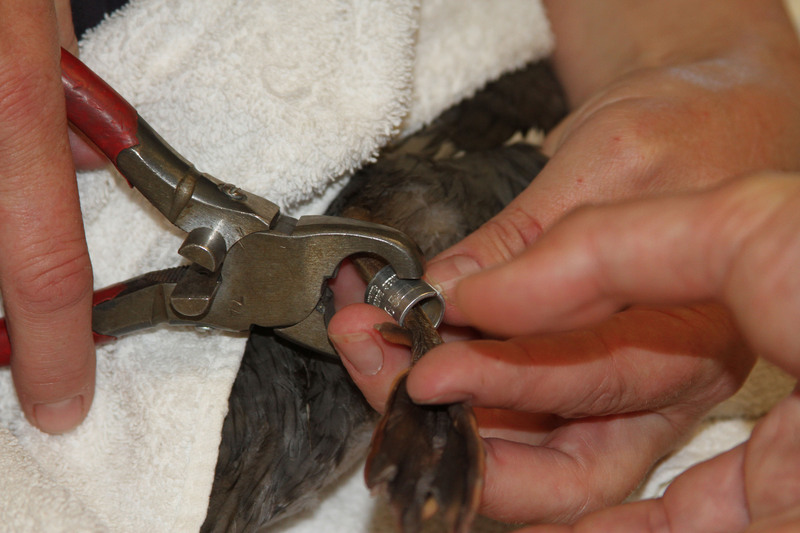 However, it is the natural oil seep events and toxic algal blooms off the California coast, and the wide range of natural and human-caused avian injuries and illnesses, that effectively sharpen the skills of International Bird Rescue’s team of specialists on a daily basis. International Bird Rescue’s 40th Anniversary Celebration will offer Bay Area residents the opportunity to learn more about the group’s fascinating work at Berkeley’s forward-thinking and eco-friendly Brower Center. Bay Area filmmaker Judy Irving will also be making a guest appearance and showing a sneak peek of her current documentary project, a film about California Brown Pelicans that features the life-saving work of International Bird Rescue. Help us say “yes” to all of the baby birds that arrive on our doorstep. Wild ducklings and other baby birds are not toys or pets. While International Bird Rescue is happy to offer orphaned baby birds a second chance at life, the best place for them to survive is with their mother. International Bird Rescue asks that friendly citizen rescuers make sure that baby birds really are without a parent before bringing them to International Bird Rescue, and never take them home to be pets. 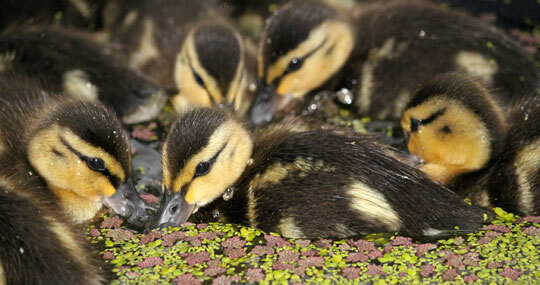 The best way to love a wild duckling is from afar – be a hero for one of these orphans today! 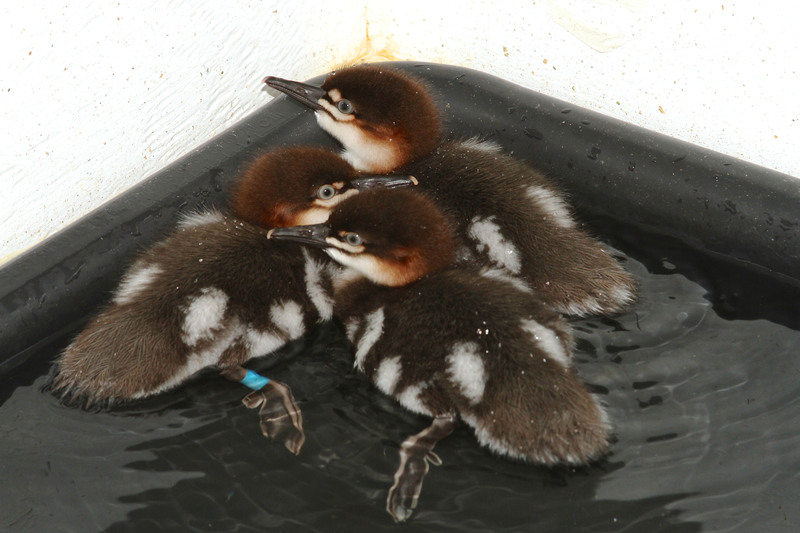 Being warm and well fed is one of those happy things we tend to take for granted, and International Bird Rescue hopes that the hundreds of orphaned ducklings we care for each spring feel this kind of comfort and safety once they are taken in by our Los Angeles and San Francisco Bay centers. 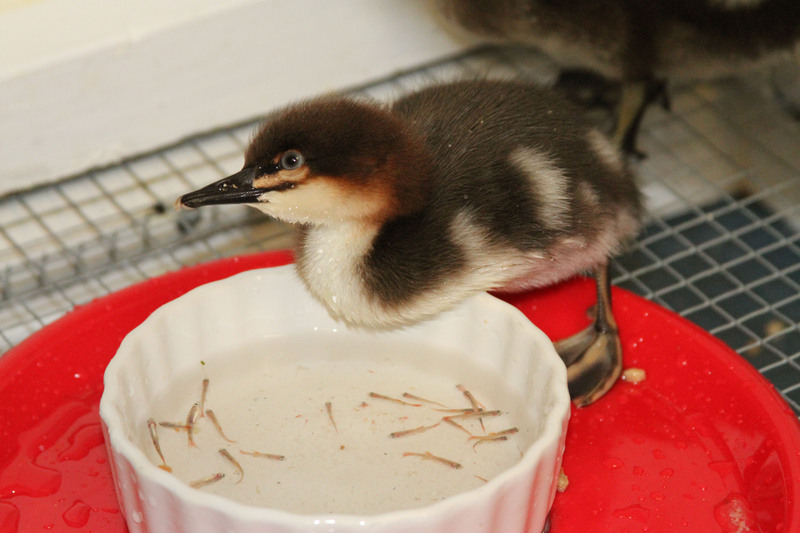 Every year our centers fill with orphaned birds – last spring brought an incredible 1,543 Mallard Ducklings, 71 baby Wood Ducks and 63 Canada Goslings. 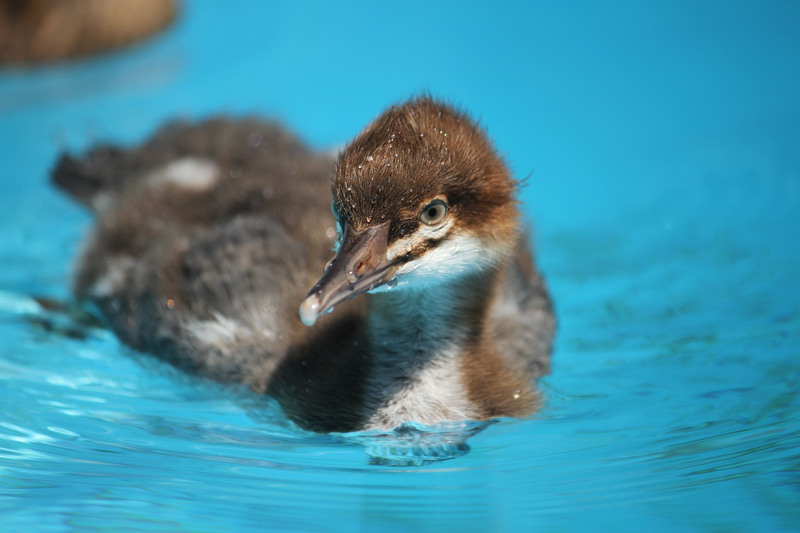 With the arrival of the year’s first ducklings, baby bird season is upon us again, and we need your help. 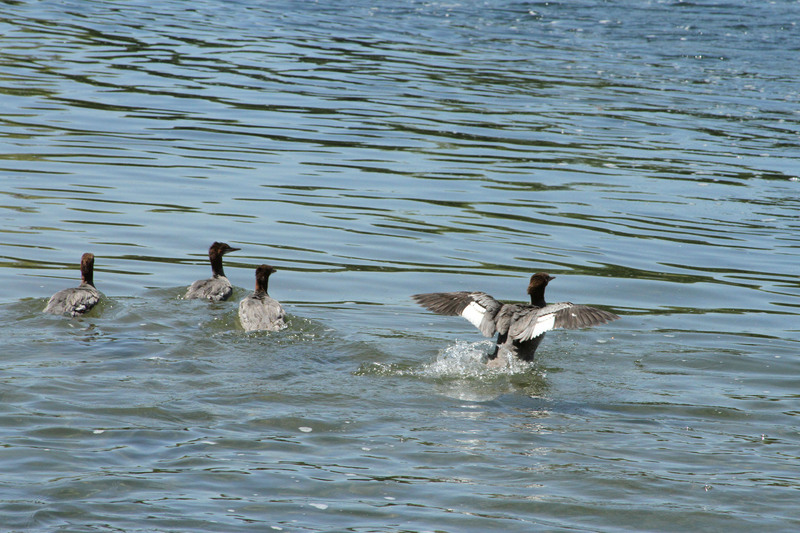 Landscaped yards, road medians and industrial landscaping have replaced many natural nesting areas for waterfowl. After their eggs hatch, ducks and geese walk their young to the water facing man-made obstacles such as storm drains, fences, cars, pets and people. 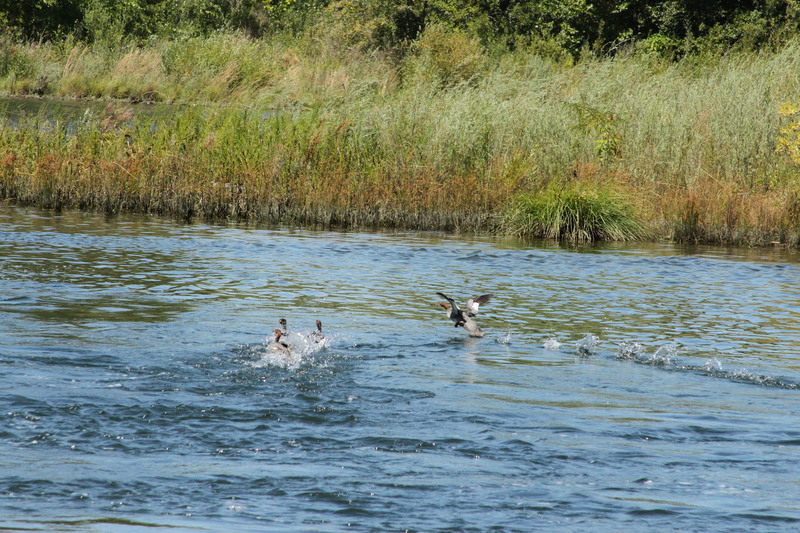 Hazards like these leave hundreds of wild ducklings and goslings orphaned each year, and International Bird Rescue is honored to take responsibility for their care and subsequent release. But we can’t do it alone. It is the generosity of donors like you that makes this life-saving work possible. 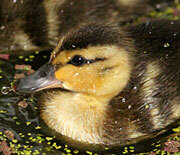 Orphaned ducklings are typically less than a week old upon rescue, and each clutch has its own story. This season’s first four ducklings were found by a group of children passing the library in Pleasant Hill, California on March 24. The ducklings were huddled in a puddle beside a storm drain, and when it was confirmed that they were either orphaned or hopelessly separated from their mother, the four baby birds were brought to International Bird Rescue for care. As expected, orphaned birds have been coming in ever since, and despite their small size, it is expensive to care for so many birds on top of our regular patient load. 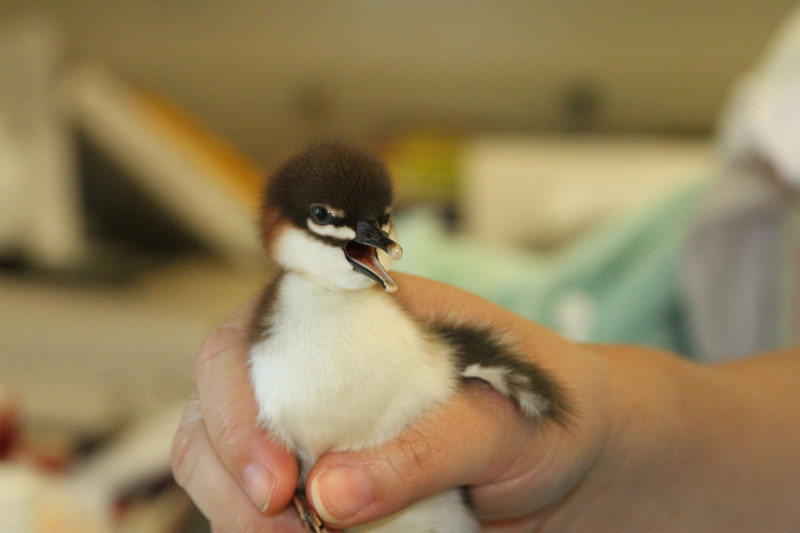 Baby birds generally spend about five weeks in our care and we are proud of their 85% release rate. In fact, band reports show that many of these orphans not only thrive in the wild, but go on to migrate throughout the State. 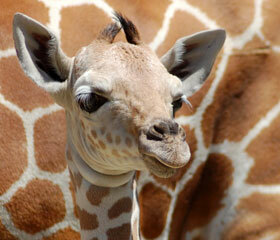 You can help us raise these little ones and offer them a second chance to make it on their own. It costs International Bird Rescue about $25 to raise each of these orphans, keeping them warm and well fed until they are ready to thrive in the wild. 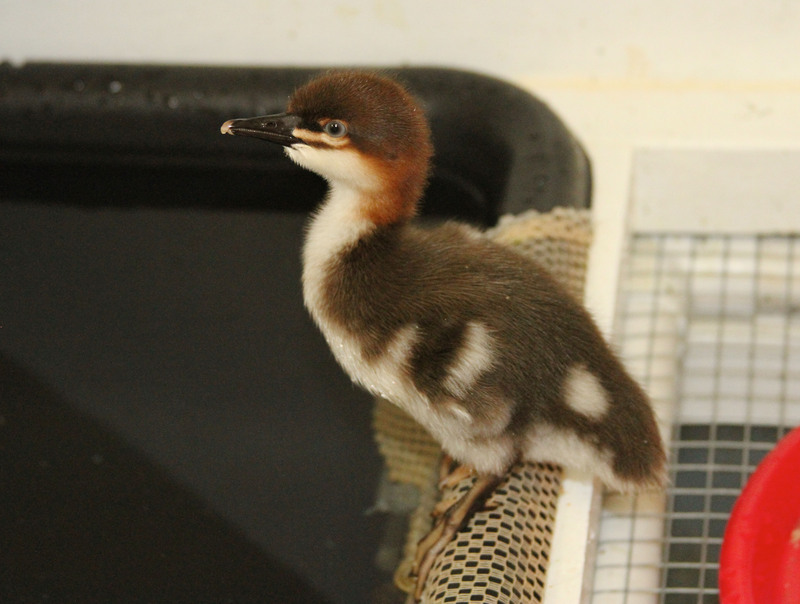 Your donations will help cover these rapidly multiplying expenses, and empower International Bird Rescue to say “yes” to every duckling and gosling that needs us. Thank you for all that you do to show that every bird matters!